Other than a couple pieces that were fairly upbeat, Dogwood's 2012 issue has a dark, brooding, and occasionally morbid feeling to it. As an 18-year-old girl in college (and while reading this collection outside in the sun), I found it difficult to read about all the dark emotions felt in most of the pieces. Nonethless, the quality of the work is high and should appeal to readers who seek comfort in times of pain, uncertainty and grief. The poetry section starts strong with a piece about growing up and breaking away from society and expectations, through nonlinear free-verse. In Maya Jewell Zeller’s poem “Playing Scrabble with Steve and Crystal”, the speaker observes that her “mother slapped [her] for saying things.” We can see right away that this poem is not about a fun game of Scrabble and that this literary magazine will take us into difficult emotional territory. 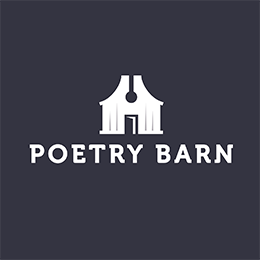 In Elya Braden's poem "Pieces of Me" we read about a mother who, after years of watching her children grow up and leave her, “couldn’t deal with any more rejection.” We continue with the pain of losing a child in, “The Book of the Dead” by Deborah Hauser. Right away Hauser writes, “visits bereft mothers, calls the drowned boys home, leads the lost girls out of the woods.” The sense of loss is striking. In Terry Godbey’s poem “Platitudes” we experience the emotional pains of breast cancer. Adding to this devastation, Godbey evokes the irrationality of God's faith, or lack thereof, in humanity: “...then why have 1,300 people leapt to their deaths from the Golden Gate Bridge?” This line certainly adds a deeper layer of sorrow to the piece. The poetry section continues with the sadness that comes from disease in “Black Dahlia” by Eileen Malone. Here the narrator has a “dark tumor emerging from the right side of her brain.” In pictures, the narrator morphs this tumor into a black dahlia, a symbol of pain, mutilation, and the unknown. All of these poems contain a deep feeling of loss, pain, or some type of emotional hardship. Referring to a more structural note, the poetry section had a mix of conventional and experimental writing, blended with free-verse poetry. Most pieces contain themes that reflect on past experiences, through older voices that express maturity. The non-fiction section was a tad more upbeat and positive, including an interesting nature essay by Elizabeth Creely titled, “Travels with Emmy”. In this piece, we see two sisters adventuring through the woods. They see the beauty in a lake that is, “round, sapphire-blue, framed by sparkling granite and full to the brim with water…tantalizing in the truest sense of the word.” The narrator’s voice is light and carefree: “why shouldn’t we camp next to a creek, where water is plentiful and the living is easy? Why worry?” This was by far my favorite piece. With a theme about the relationship between two sisters, and their love of both nature and each other, it was both a breath of fresh air from the rest of the work here, poetry and prose about broken families and being overpowered by others. Hats off to you, Nick Scorza, for creating something so pure and hopeful. Among the contributors, there is a total of five men, twelve women. All have been previously published, many with new books or poems planned to be published in the near future. There are no student writers, as all have graduated from college or university, many with MFAs and PhDs in literature or some form of it. All contributors’ credentials are quite impressive. Each piece here is well-written and compelling, and each would have been great on its own. When all of them are together in one issue, it's a lot to absorb. Perhaps the best time to take in the pieces in this journal is on a rainy day, or a cold night in winter. As for me, I left my chair in the sun feeling a little older and a little sadder.